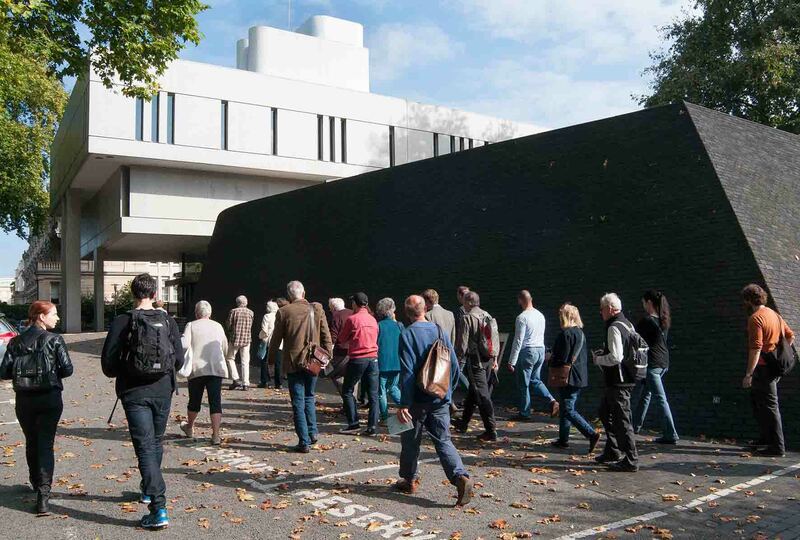 Discover 500 years of history, medicine, art and architecture with a fascinating guided tour of the Royal College of Physicians (RCP) in Regent's Park. Our expert museum staff and specialist tours partners, Discover Medical London, offer a range of tours and guided walks, which are outlined below. Venue accessibility and journey planning information (including transport accessibility) is available on the RCP visiting page. Tours of the RCP collections, history and architecture are available Monday–Friday, 10am–5pm. Group bookings are for a minimum of six and a maximum of 25 people. Standard tours are 1 hour and cost £8 per person. Student groups are usually free. We cannot guarantee which rooms will be available on any day, but we can always provide a full tour around the Grade I listed building's public spaces. To ensure availability, please contact us at least 3 weeks before your intended visit. To book your tour or for more information, email history@rcplondon.ac.uk. At 1.30pm on the first Wednesday of every month we offer a free 30-minute guided tour open to everyone. Just let reception know you’re here for the museum tour when you arrive. Pre-booking is not required. Let our specialist guided walks partners Discover Medical London lead you through the streets and stories that have made London a city of sickness and a city of cures for over 1,000 years with a series of themed walks of London’s medical streets and landmarks, including a visit to the Royal College of Physicians. The RCP museum's multimedia guide is an easy to use handheld device with over 2 hours of films and images, featuring interviews with leading historians and experts to help you explore the RCP and the history of medicine as well as our museum collection, architecture and garden. The guide is available free from reception during opening hours: Monday–Friday, 9am–5pm. Please note: the RCP is a busy conference venue and some rooms may be unavailable on your visit. Free tours of the medicinal gardens are held on the first Wednesday of each month at 2pm from March to October. To book a place call +44 (0)20 3075 1200.